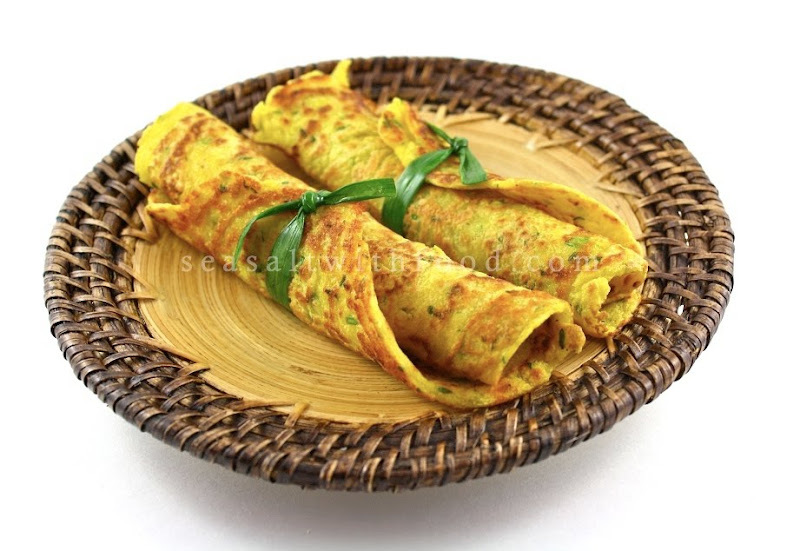 Moong Dal Pancakes is a fantastic savory pancakes made out of split peas. They are rich in protein and can be eaten as it is or served with some chutney. Delish! Soak the dal with 1 liter of water for about 5 hours. Drain. Combine the ginger, garlic, chilies, sea salt, turmeric, dal and 85 ml plus 1 Tbsp water and blend until you have a smooth batter. (Adjust the consistency with more water if necessary) Let the machine run for 2 to 3 minutes so the batter gets light and airy. Empty the batter into a bowl. Add the onion, fresh coriander, and baking powder. Mix the batter well. Brush a 20cm (8 inch) non-stick frying pan with about 1 tsp of the oil and set over a medium-low heat. When the oil is hot, ladle about 55 ml (2 fl oz) of batter in the center of the pan. Spread the batter with the back of a soup spoon. Using a gentle but continuous spiral motion spread the batter outwards. Make a pancake that is about 5 to 6 inches in diameter. Turn the pancake over and cook for another 1 ½ minutes or until lightly brown in color. Make all the pancakes this way, making sure you stir the batter each time. These pancakes are best eaten hot, just as soon as they are made. You could, if you wish, stack them on a sheet of aluminum foil and then wrap them into a bundle. The whole bundle can be heated in the oven at 220˚C/425˚F for 15 minutes. Wishing you and family a blessed and happy new year! This looks great but the recipe is missing some ingredients discribed in the directions. Hi Angie, you've such a beautiful blog and your photos look stunning! Love how you decorated them. Looks so divine... Thanks for sharing. Cheers. This is a very interesting pancake! I would love to try it some day. I love how you tie them with shallots! Sounds lovely. All my favourite flavours, wrapped up - Coriander and ginger. I think a pinch of dry-roasted cumin seeds would be lovely too! I love Indian food, and I love pancakes and crepes. These looks like they would seriously hit the spot. I can't wait to make them! Curious about these--do you not cook the lentils first? @ M. A, O'Neal: No, you don't have to cook the lentils first. Thanks for the comment. @ Anonymous: I have updated the recipes. Thanks. @ My Little Space: Thanks for the kind words and have a Happy New Year. @ Ellie: Hah! I am trying to be creative here. Thanks. @ Kitchen Butterfly: Mine too. Thanks for the comment. @ lk (Healthy Delicious): Ya, dal is one of my favorites too. @ WizzyTheStick: Wow! Didn't know there is a similarity between dal pancakes with the ones in France. Thanks for sharing the info. @ Chow and Chatter: Thanks and Have a wonderful New Year. 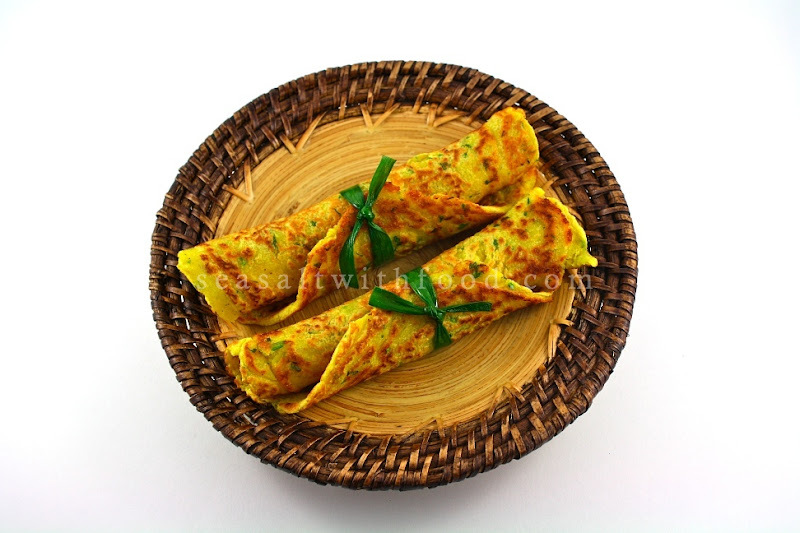 Amazing, there is another similar recipe, with gram flour with I usually prefer... and I also make a filling of grated Paneer-Onions-green Chillies and Grated Cheese..
Wow these look incredible! I will definitely make these sometime! My family and tried these at a restaurant in Vancouver and I thought they were delicious!!! It is great way for kids to get to try new foods. Both my kids don't really like spicy.